"THE REGION'S PREMIER FILM EVENT"
Do you regularly attend and enjoy our events? 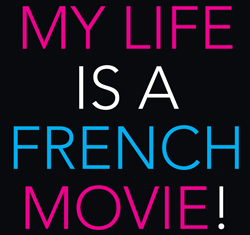 Do you value our mission to present stimulating and entertaining programs designed to bring people together in celebration of French cinema? by becoming an Ami du Festival in 2019? Not only will you get the satisfaction of sponsoring a cultural non-profit organization, you will also receive fabulous benefits for doing so! Benefits include passes to the 18th SFFF (June 21-23 & 28-30, 2019, at the Crest Theatre) and exclusive access to the Opening Night VIP Reception, which will feature an open bar and delicious appetizers catered by the excellent Brasserie Capitale. Our tickets sales cover about half of our operating costs, which we keep as low as possible thanks to our tireless volunteers, bighearted in-kind sponsors, and our Board of Directors’ efficient management. To cover the other half, we rely on the financial support of individuals like you to be able to bring our high quality, fun, thought-provoking, and affordable programs to Sacramento theatres. Our Amis du Festival sponsorship package, with details about levels and benefits, can be found HERE. You can send donations by mail or give online via our website HERE (Click on the yellow "Donate" button). If you own a business, or if you think the company you work for may be interested in supporting us, please take a look at our Corporate Sponsoring Package, HERE. Any gift, in any amount, is useful and deeply appreciated. The sooner we receive your donation, the easier it is for us to plan and realize our vision for the year, in which we hope to expand our guest program even further to provide you with more opportunities to interact with filmmakers and experts on French cinema and culture. MERCI for your love & consideration. 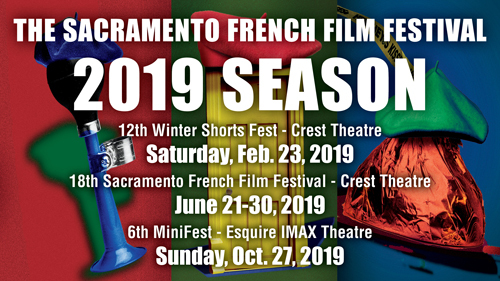 PLEASE NOTE: You received this email because you told us previously that you were interested in information about the Sacramento French Film Festival. We NEVER sell our email lists or information, and only use them to tell you about the Festival. Please visit this page if you wish to leave this mailing list or modify your subscription.